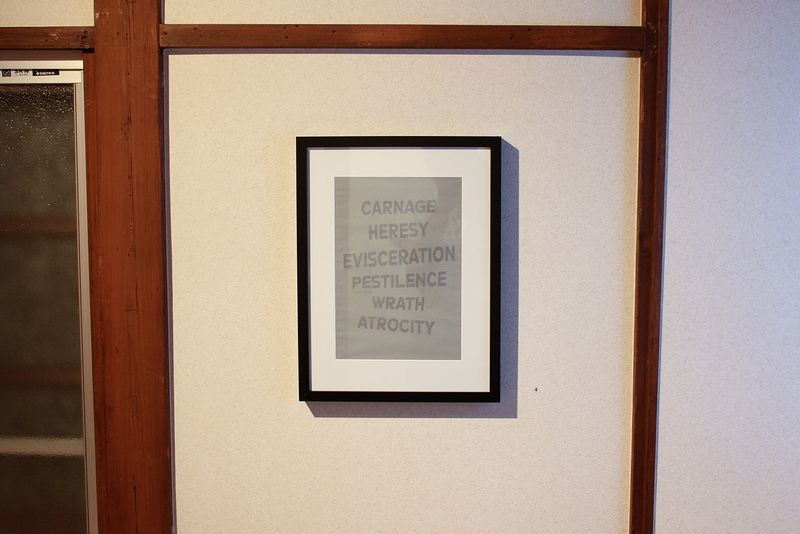 Goya Curtain is pleased to present Species Regret, an exhibition of writing, sound, installation and prints by Ian Lynam. 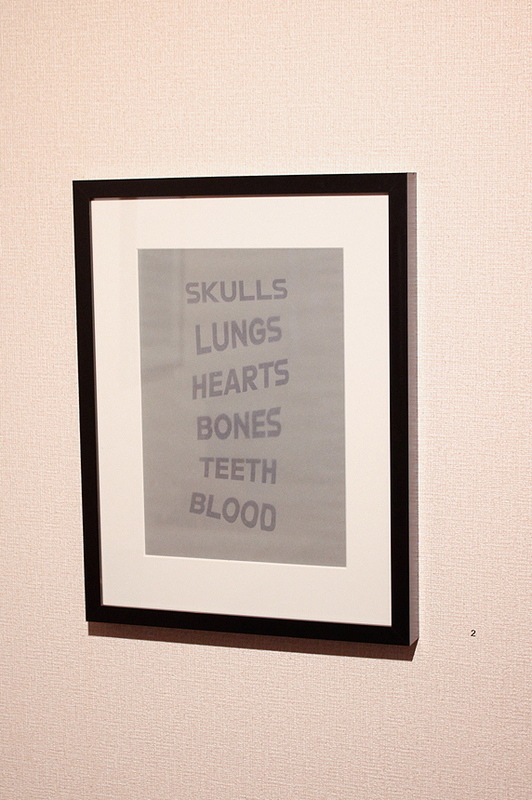 The exhibition is accompanied by the release of a new book of collect-ed fiction in a signed and numbered limited edition of 100, which will be available for sale for ¥2000 each. In lieu of a traditional opening, there will be a series of 4 unique informal readings drawing from material within Species Regret's greater cosmology, including unpublished writing. Species Regret explores notions of what the world might be like if gods of the Hellenic and Norse tradition walked the earth today. Within the exhibition, the development of identity of self is examined through object relations study, mythology, projection, introjection and, ultimately, narrative. Ian Lynam reading stories from Species Regret at Goya Curtain. Vellum-fronted photocopy, 176 x 250mm. Drawing upon the narratives within his new book, Lynam has created a series of darkly resonant standalone typographic prints alongside a two-track cassette tape soundtrack that explores the concept of identificatory mimetism—the negotiation of the projected and introjected self in rela-tion to mythology. Accompanying these elements are an installation of insidious found objects presented as seeming evidence as to the presence of the supernatural in our world. 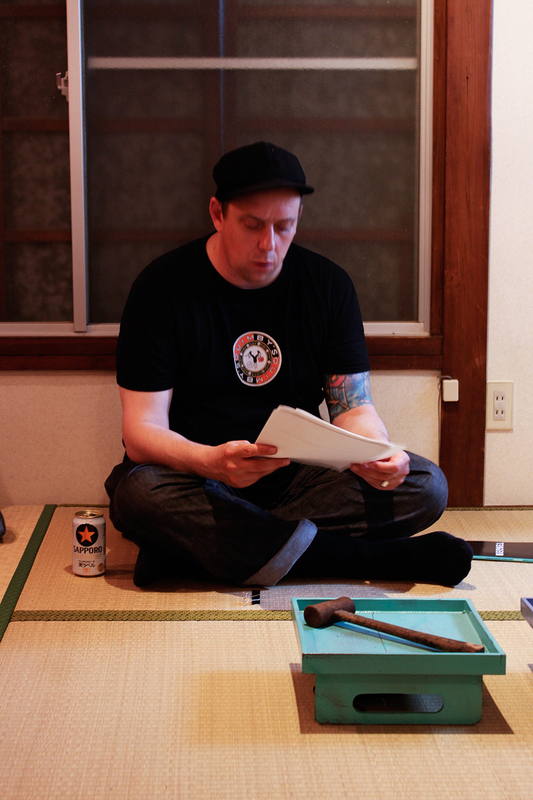 Born in New York in 1972, Ian Lynam works in Tokyo at the intersection of design, design edu-cation and design research. 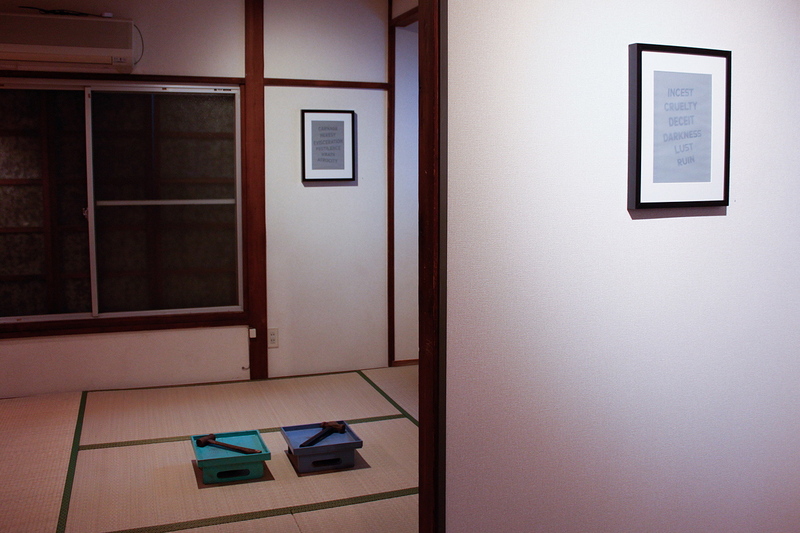 His studio has been based in Tokyo since 2005. 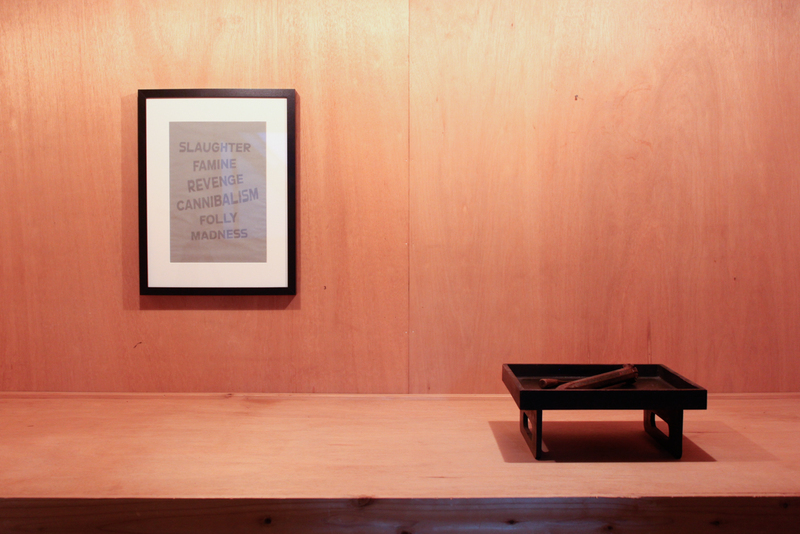 Ian Lynam is Chair and faculty at Vermont College of Fine Arts in the MFA Graphic Design program. 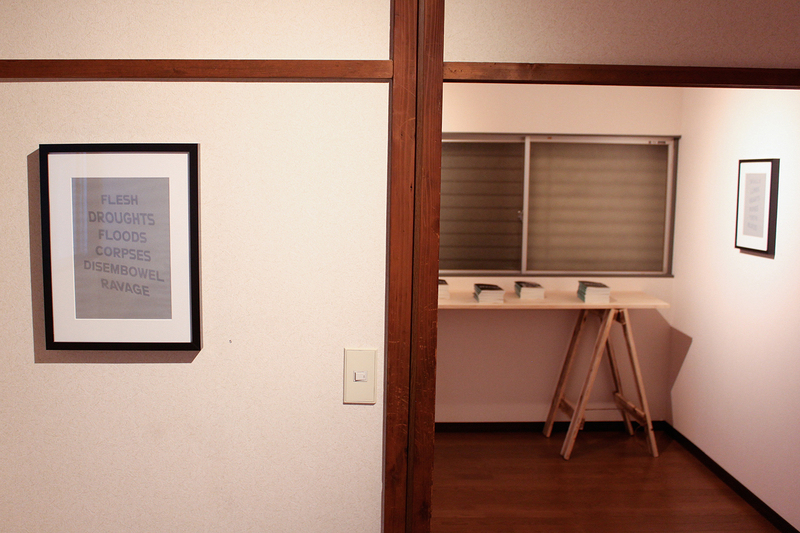 He is faculty in Tokyo at Meme Design School and faculty at Temple University Japan. His work is in the per-manent collections of NYMOMA, SFMOMA and the Newberry Library. 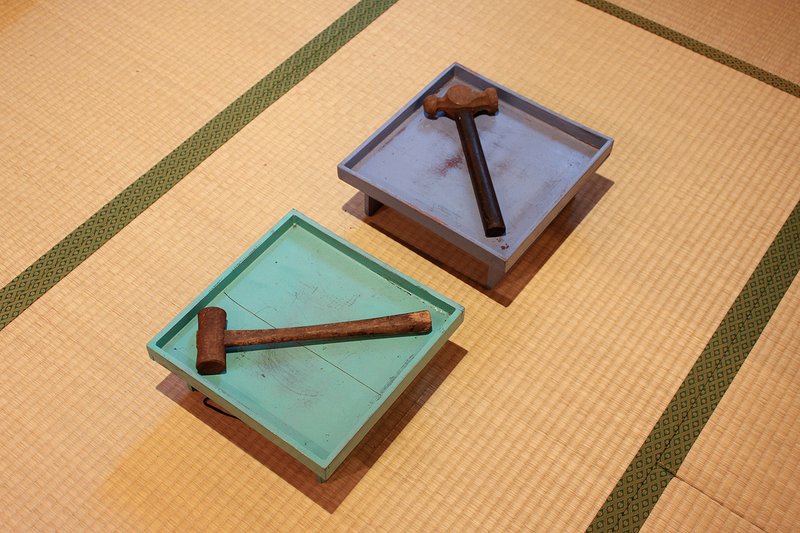 Found tools and display altars in the tatami room. 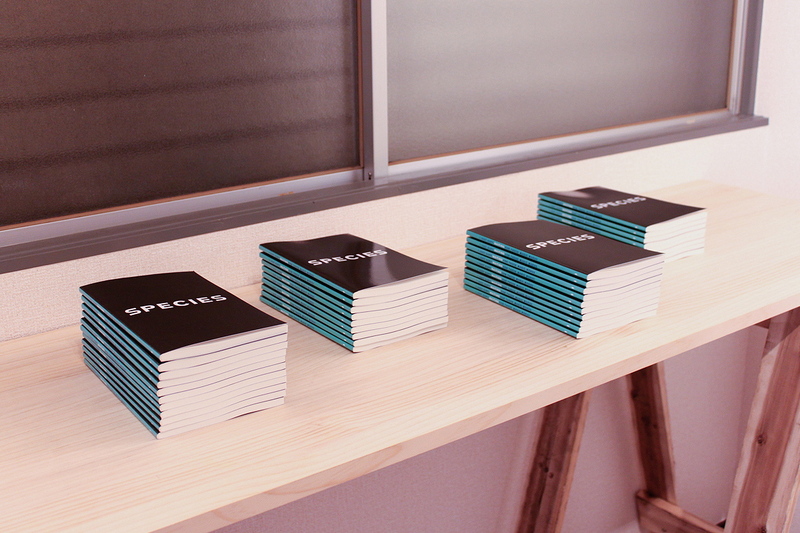 Species Regret, Book one: GODS by Ian Lynam.